Produktinformationen "LONELY TROOPER TK NOIR SERGEANT DARK VERSION 1/12 SCALE ACTIONFIGUR"
From Three A. Designed by the legedary Ashley Wood, this 6" Lonely Trooper features 29 points of articulation and detailed tailerd fabric clothing. 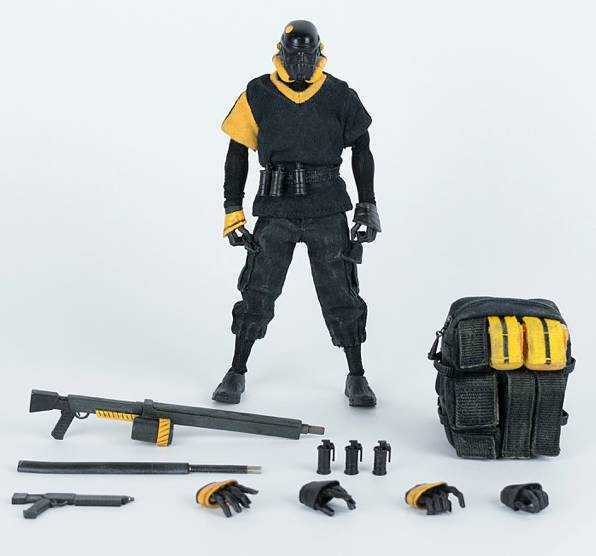 The Lonely Trooper also includes a standard trooper gun, heavy trooper gun, 6 grenades, a sword, 3 pairs of interchangable hands and a fully cloth trooper backpack for all his gear! Available in a black and a white version! Weiterführende Links zu "LONELY TROOPER TK NOIR SERGEANT DARK VERSION 1/12 SCALE ACTIONFIGUR"
Kundenbewertungen für "LONELY TROOPER TK NOIR SERGEANT DARK VERSION 1/12 SCALE ACTIONFIGUR"